Last night at the Harper’s Bazaar ICONS Fashion Week event; Cardi B attempted to confront Nicki Minaj and was hit in the head by Nicki Minaj’s security team. Then Cardi B throws her shoe towards Nicki Minaj. 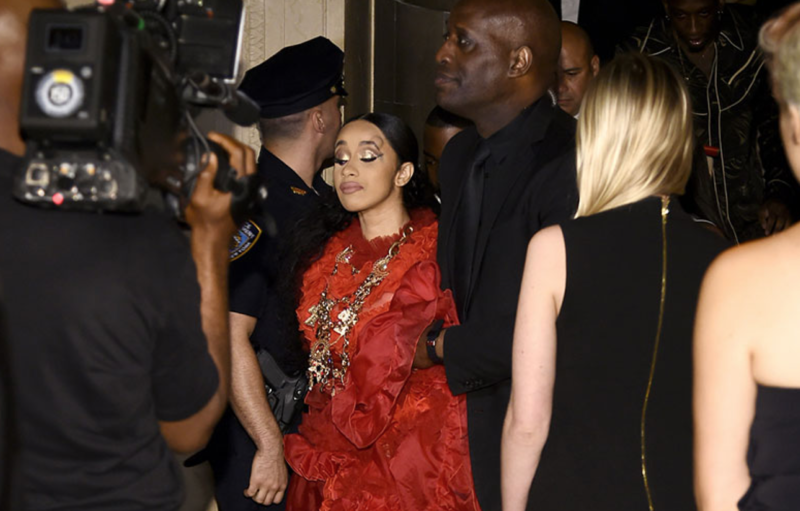 Finally, Cardi B gets escorted out of the event by NYPD officers. We think there’s enough room for more than one female rapper. This beef is not going away no time soon. We have been hearing a lot of back and fourth and it’s getting ugly. Ay dios mio – what’s next?